Don’t let anyone tell you that soup can’t be a meal. 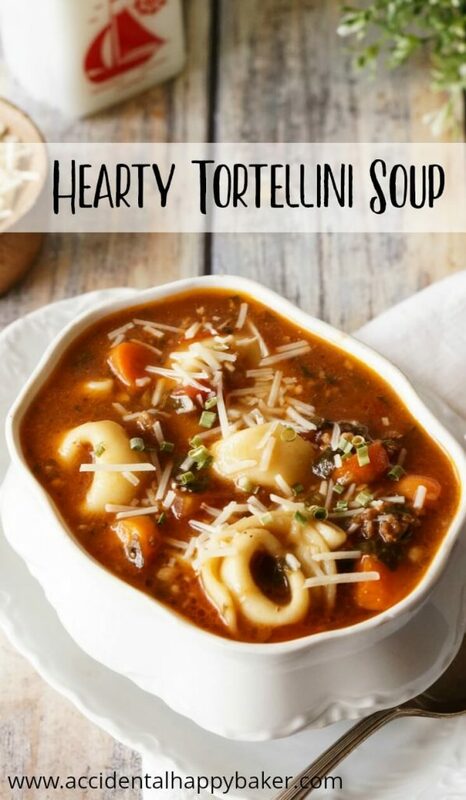 This tortellini soup is so hearty and filling. 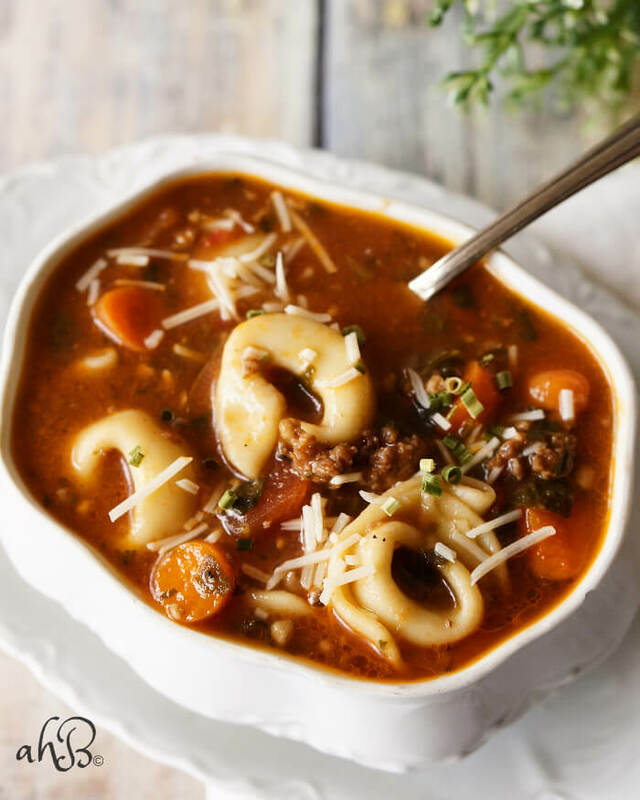 With robust Italian sausage, loads of veggies and savory cheese tortellini, this soup packs a lot of flavor! Serve it up with a side of garlic bread baked in foil and you’ve got a one pot wonder of a meal that comes together in 40 minutes. 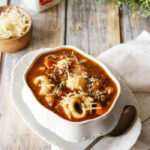 My tortellini soup has a beef broth base, which makes it a little different than most tortellini soups I’ve seen. 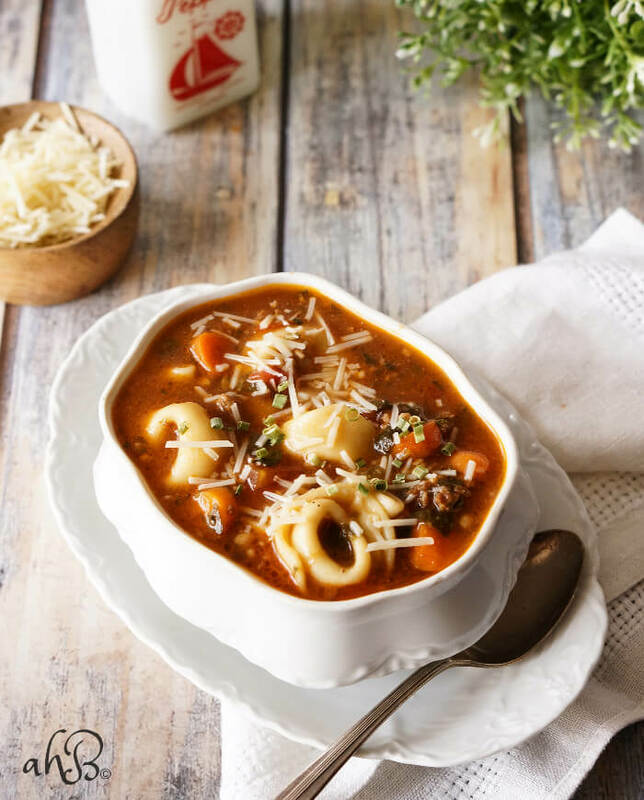 If you love minestrone, then you’ll love this soup, because they are very similar. There is a little chopping required, but the prep work for this is simple and doesn’t take long. This is one soup you’ll keep coming back to! 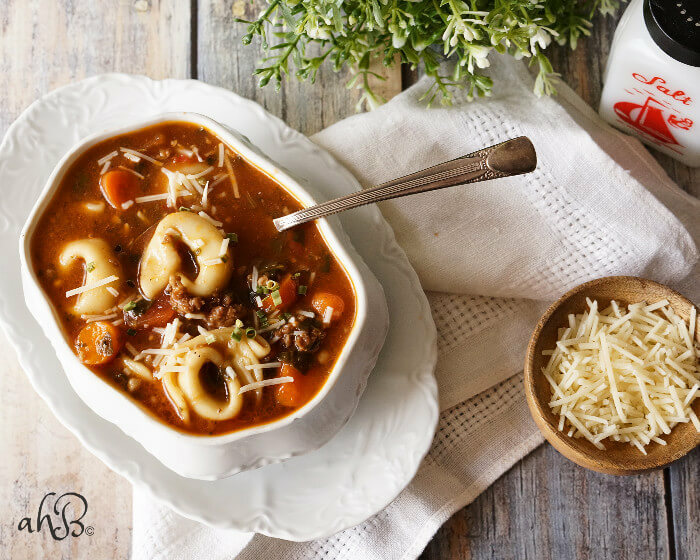 With robust Italian sausage, loads of veggies and savory cheese tortellini, this hearty soup packs a ton of flavor! In a large stockpot, cook the Italian sausage, garlic, and onion until the sausage is completely browned. Drain. Add to the stockpot the celery, carrots, mushrooms, beef broth, diced tomatoes and tomato soup. Bring to a boil and reduce to a simmer. Simmer for 15 minutes. Add the spinach and tortellini and simmer for another 10 minutes. Season to taste with salt and pepper. Top with fresh grated parmesan if desired.